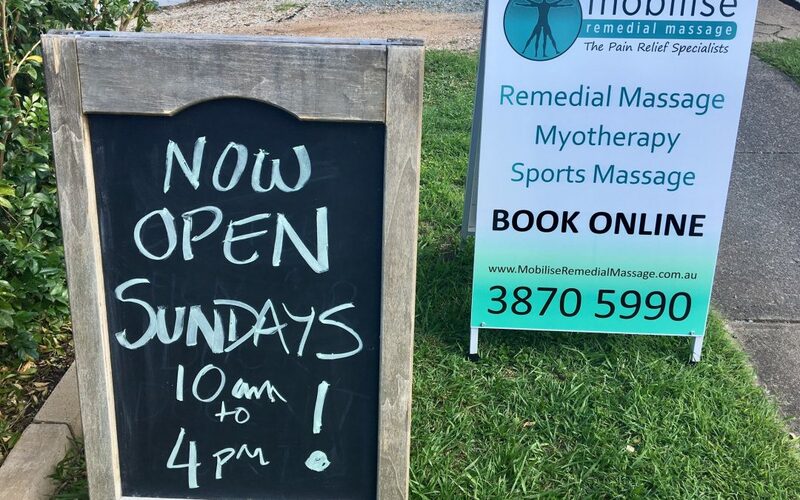 Remedial Massage available on Sunday at Mobilise Brisbane. As of this Sunday, 29th October, 2017, Mobilise will open for Remedial Massage appointments from 10am to 4pm. Your pain doesn’t stop just because it is a Sunday, and now we are here to help. Give the clinic a call on 0473 090 442, or book online now!